An incentive fund for RT and RW caretakers in Panggang Island Urban Village, North Seribu Islands Sub-District has been disbursed. 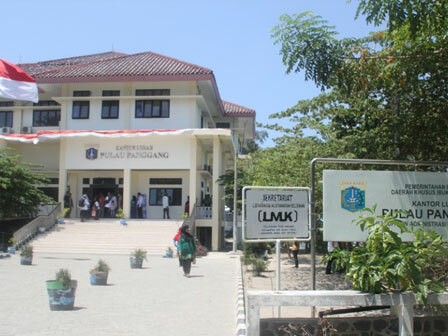 "It's form of government's caring, the total is amounted to Rp 41 million, for 5 RWs and 29 RTs "
Panggang Island Urban Village Head, Surahman said that not only giving incentive, his side also gave coaching as well as reminded the responsibility and obligation to report all programs in his area.
" It's form of government's caring, the total is amounted to Rp 41 million, for 5 RWs and 29 RTs . Now we demand for responsibility and active participation in community for realizing better social condition," he explained, Wednesday (10/28). According to him, the participation of RT and RW heads should be more intensive, especially for directing their residents to maintain neighborhood cleanliness. "The classic matter is trash. But residents awareness certainly should be raised to care about the cleanliness," he asserted. As known, the operational fund is based on Jakarta Governor Decree No. 2153/2003 on Giving Operational Incentive Fund as aid for the caretaker’s activities such as meeting, communal work, cleaning and disciplining. The fund is disbursed every 3 month and not as salary of the RT/RW chairmen.